The network connects people, support applications and services to provide access to resources that keep the business running. An efficient network design is critical to the success of businesses for both large and small enterprises. High availability, Scalability, Security and Manageability are the key components of a network design. This means the network devices must be smart enough to automatically protect against unexpected security incidents and must also be able to adjust to changing traffic loads to maintain consistent application response times. To meet the challenge, a network needs to build on an architecture that allows for both flexibility and growth when your network get bigger and more complex. How to build a perfect network? 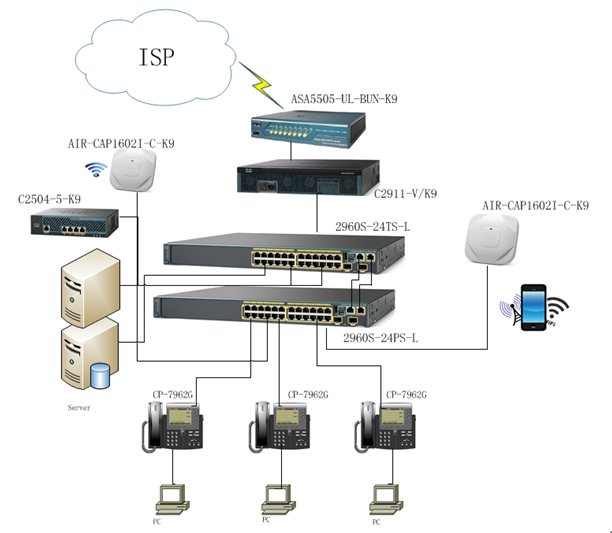 Let’s have a look the example that how we can build our network to fit our requirements. Firstly, let’s imagine that you have a small business, about 20 employees. They use computers to do their daily work. Someone uses desktop by connecting via switch and someone uses laptop by connecting via wireless. They access internet by using router or firewall. The network infrastructure is just like the figure below. Since the business expanded, you tripled employees, and the old network infrastructure is not enough for your business, you have to add up new equipments to do your business, such as IP phones, more access points and more connections. The security reason is a big concern too, so the wireless controller adds up. What does a bigger network look like? 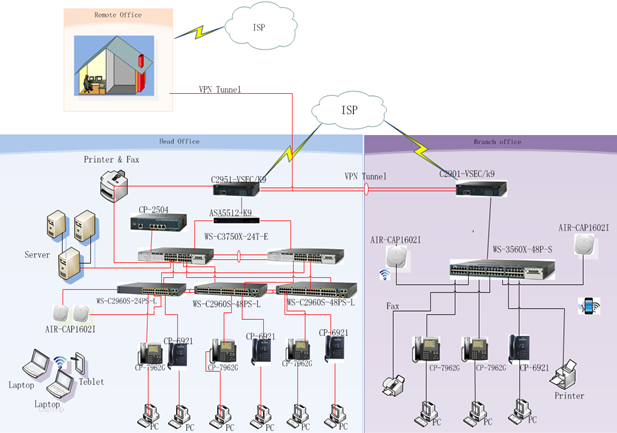 The following network design may show you the answer. A few years later, your business is doing so well, and opened the new branch office. Now, you have more than 100 people in your Headquarter and almost 40 people in your branch office and some employees may require work at home instead of working in the office sometimes. So the network requirements become more complicated. So the VPN connections bring up. 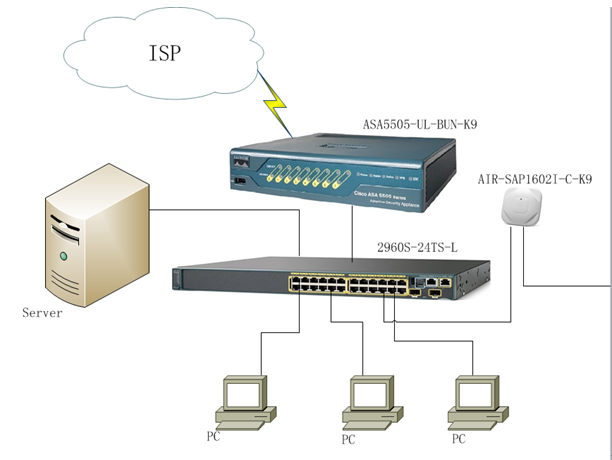 How to set up a reliable and secure network to meet the challenge? The follow diagram may give you the idea. In conclusion, the story above is how to setup your network as your business growth. The purpose of designing network is to achieve the best convergence possible. Although each network is unique, and issues such as cost, physical limitations or application requirement may limit full implementation of these recommendations, the capacity, features and functionality of a specific device are optimized for the foundation to design the network and the role that it plays in the network. Otherwise the performance of applications that depends on network services such as ip phones, wireless communications, IP videos, etc. will eventually suffer.